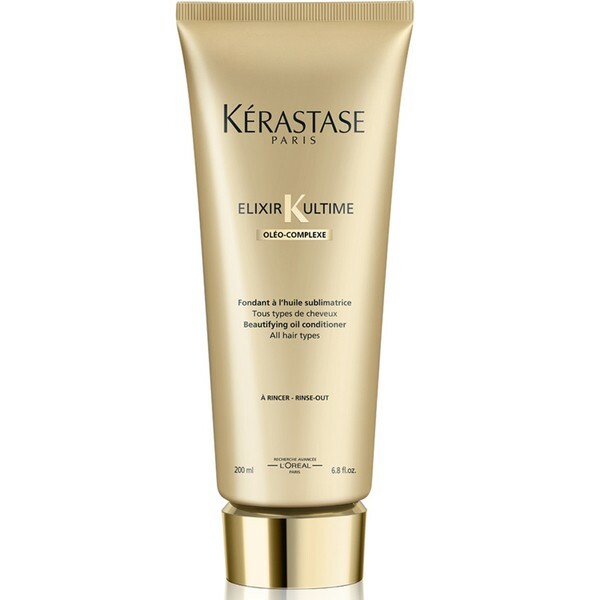 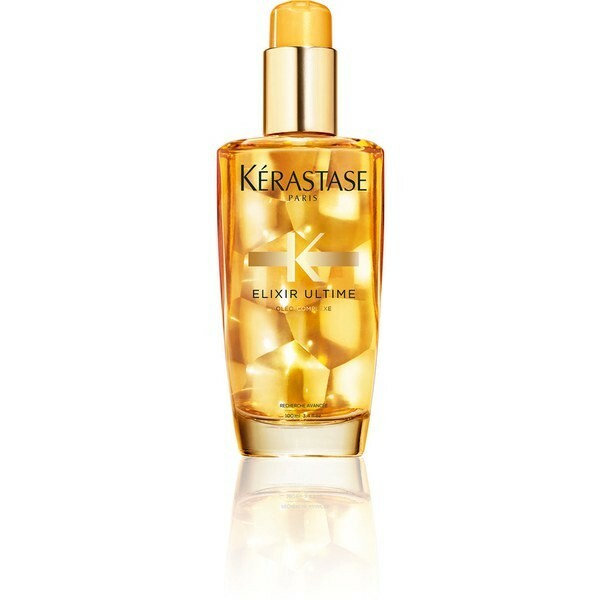 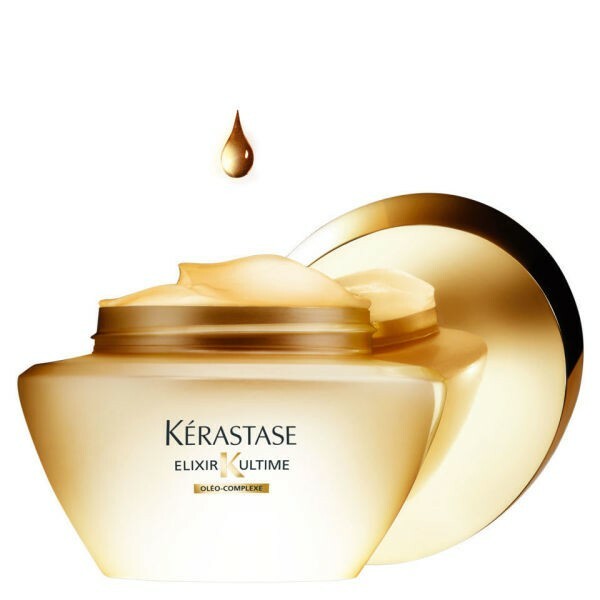 Kérastase's iconic Elixir Ultime Oil; a versatile nourishing hair oil for all hair types. 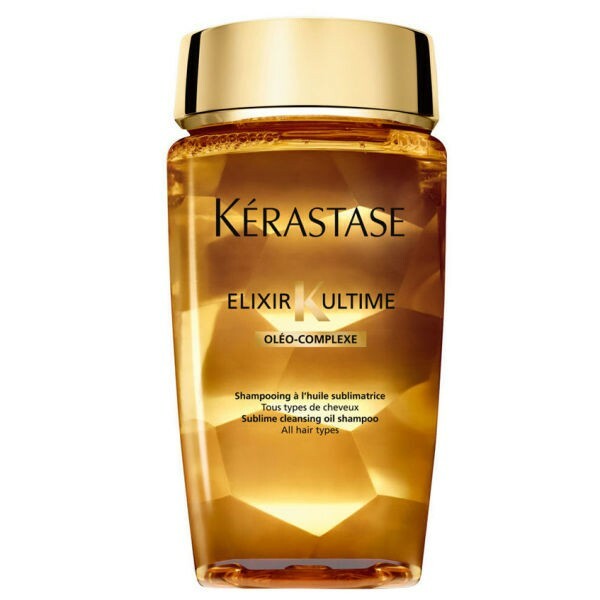 Hair is left feeling nourished, protected and infinitely shiny. 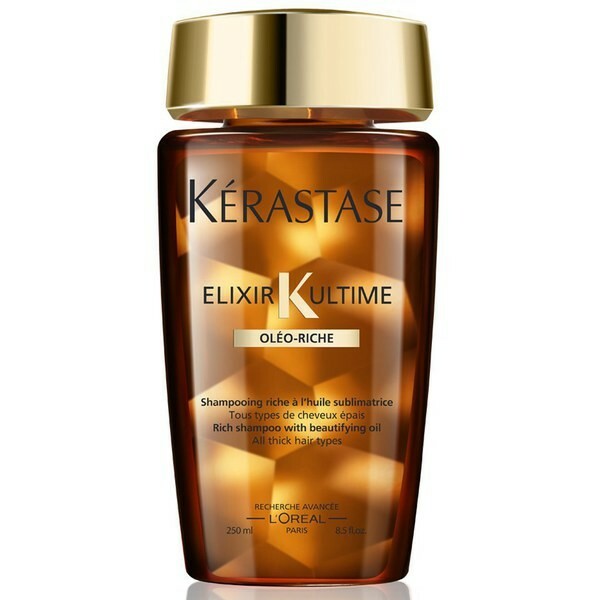 *Combing test with Elixir Ultime Oil Vs classic shampoo after 24 hours at 55% humidity. 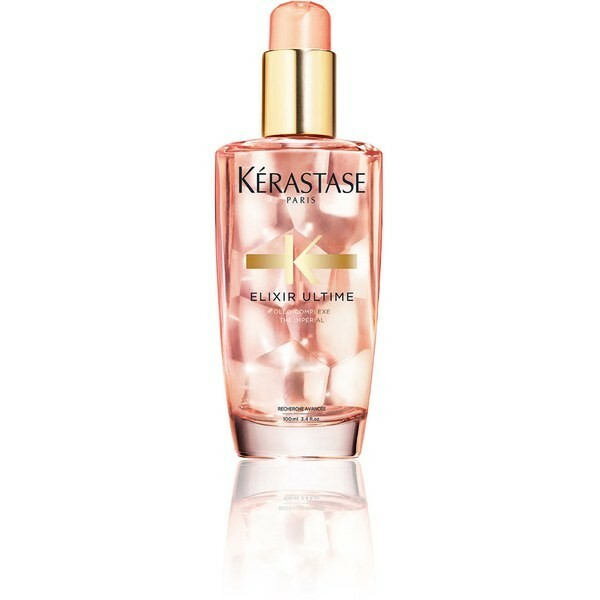 Depending on the thickness of the hair, apply 1 or 2 pumps on dry or wet hair as a leave-in treatment. 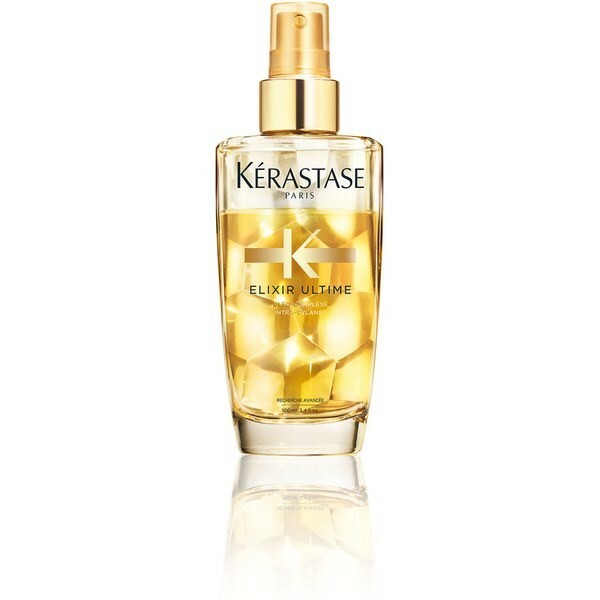 Pre-Blow Dry: Apply to towel-dried hair and blow dry as normal to nourish the feel of hair, protect and maximize shine.